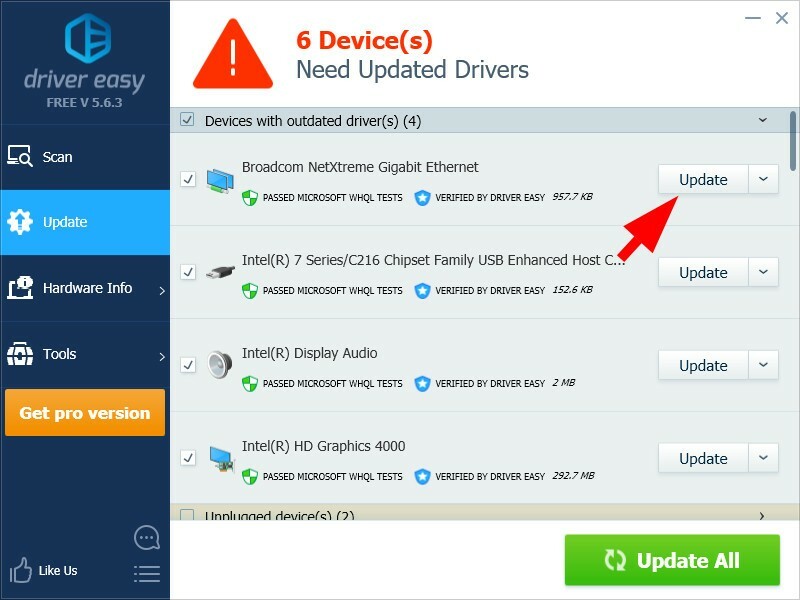 2) Click the Update button next to the driver you’re going to update. 4) Wait for the download process to complete. 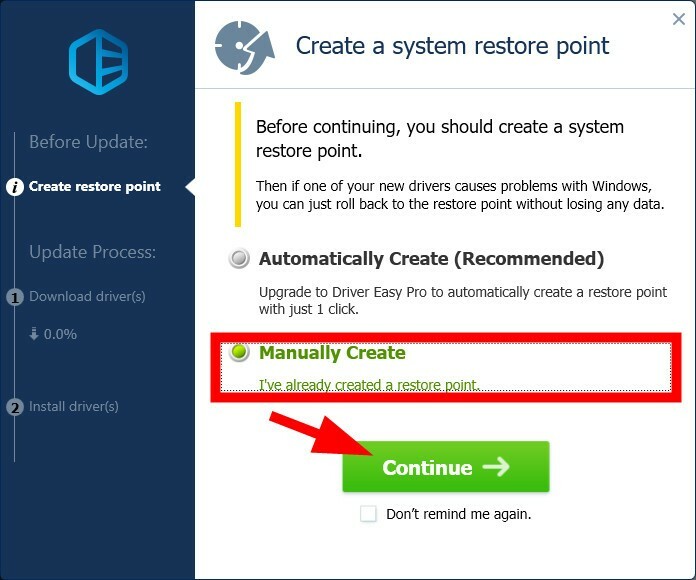 5) Select Manually Install and click Continue. 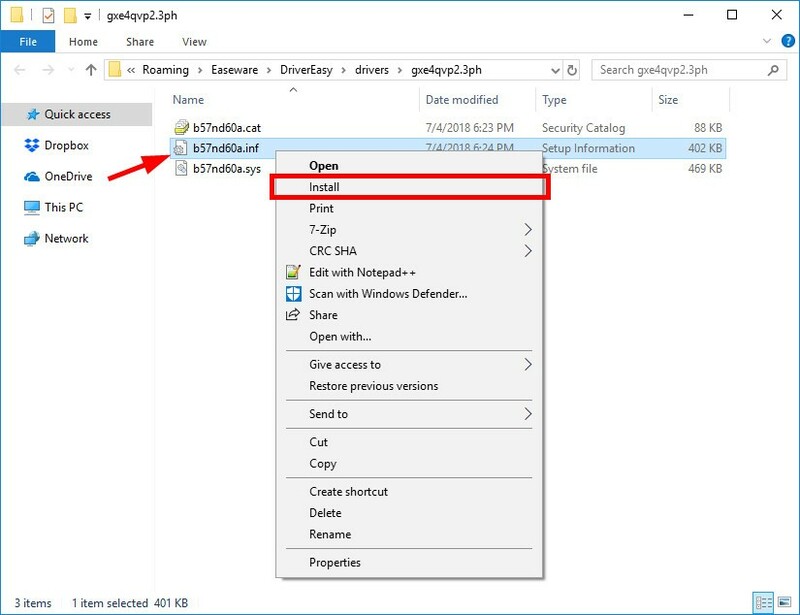 6) Right click the file with the “.inf” file extension, then click Install. 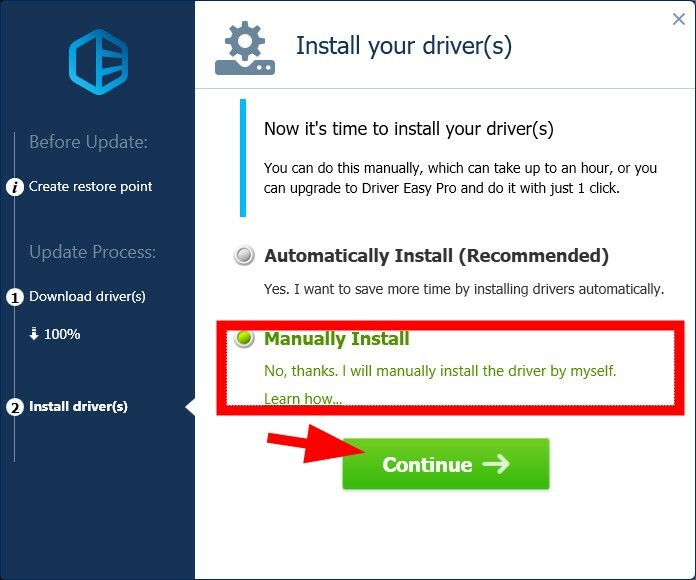 For some drivers, you need to double click the “.exe” file, then follow the on-screen instructions to install the driver. 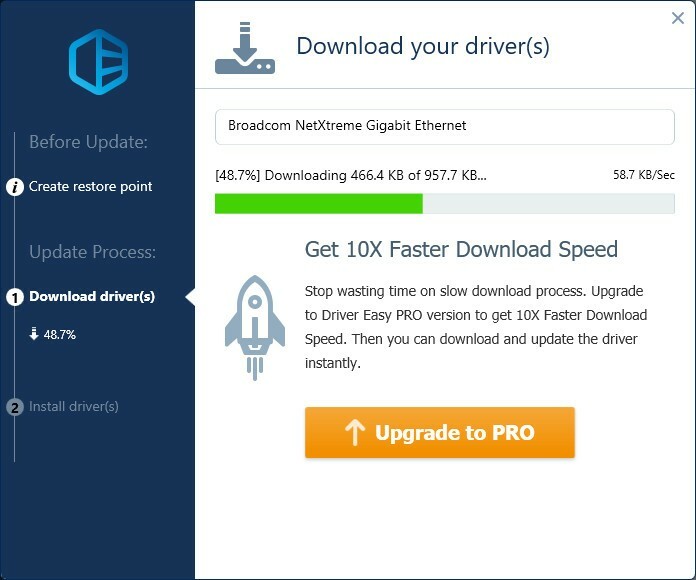 You’ve successfully installed this driver.